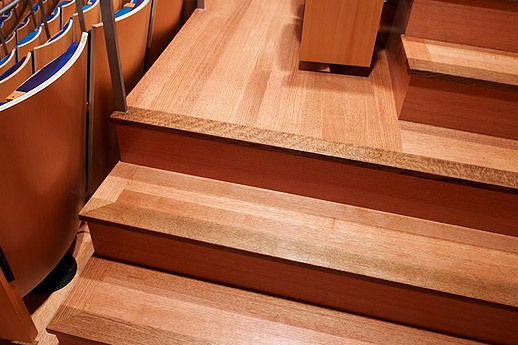 Acme Floor Co., Inc. is proud to be working with J.E. 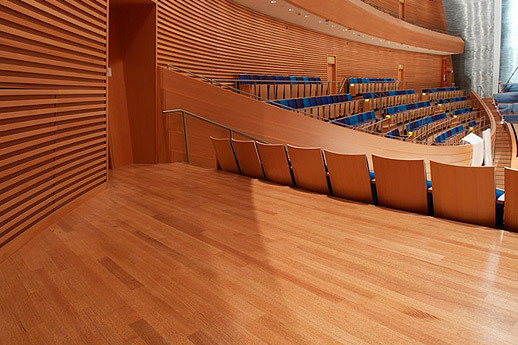 Dunn to install wood flooring at the new Kauffman Center for the Performing Arts in Kansas City, Missouri. This is our second project of this type. 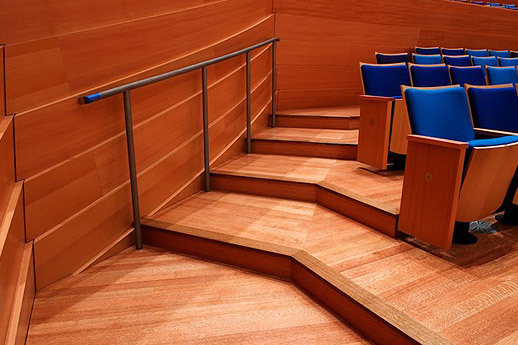 We previously installed custom flooring in the Holland Performing Arts Center in Omaha, Nebraska. 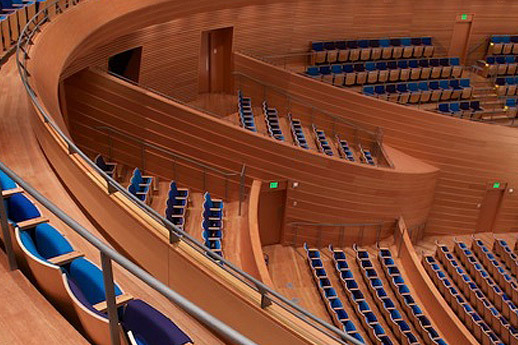 As with every commercial job of this size, Acme is working closely with the architects, acoustic engineers and designers of the Kauffman Center to ensure the floor meets the unique needs of this cutting-edge facility. 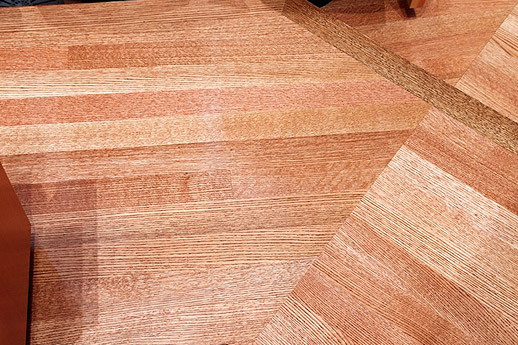 “I’m enjoying the intricacies and unique challenges that this large, complex job is presenting,” says project manager Randy Hamilton, who has been with Acme for 17 years. 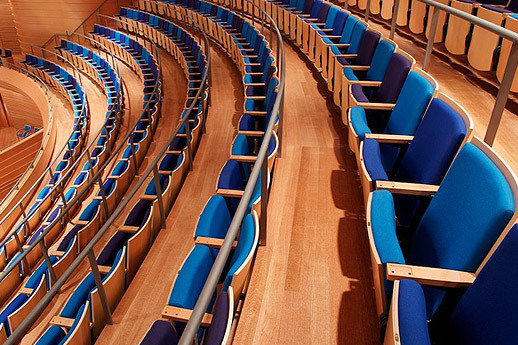 In the concert hall seating area, Acme is installing ¾-inch x 3-inch rift sawn red oak floors to provide ultimate durability and a unique finish. 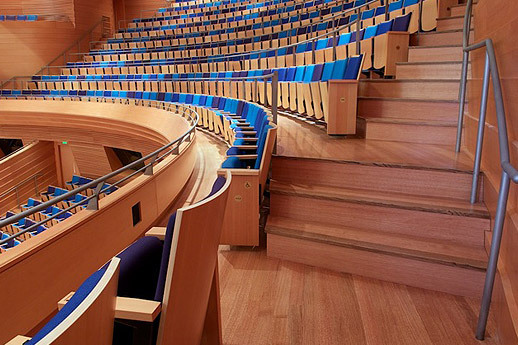 To support this, there is a rift-sawn sub floor and riser. 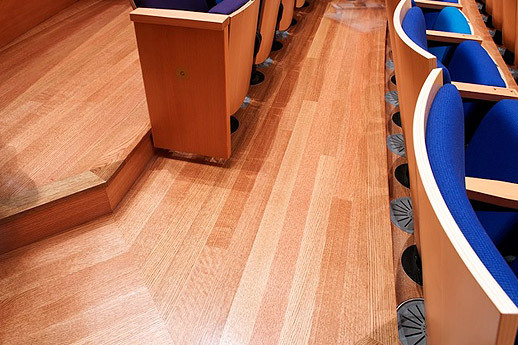 On the main stage there is 1 ¾ – inch Alaskan cedar, and on the Proscenium Theatre stage plyron plywood on top of a hardwood base, with a timeless black finish. 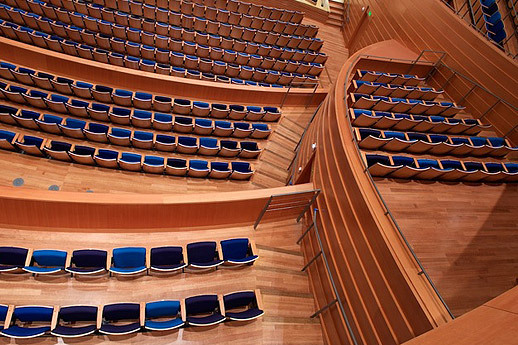 The stages have movable platforms, so Acme technicians are incorporating this into the custom design that will provide maximum flexibility for the wide range of events the Kauffman Center will hold.